For my family and friends not familiar with the area, Decorah is a beautiful historic college town about forty-five minutes north of Saint Olaf, Iowa. Decorah has a huge Norwegian influence, is home to Luther College, has fun shops, great restaurants (some of my favorites: Mabe's Pizza • OldArmory BBQ • The Whippy Dip and now on the list... Koreana! 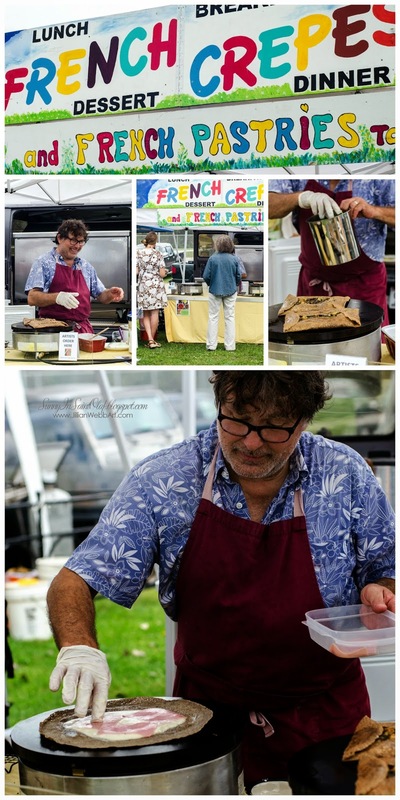 ), art galleries, the Oneota Food Co-op, and more! 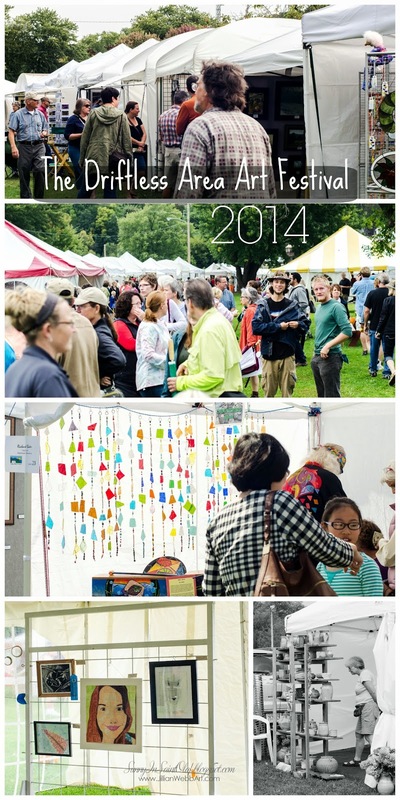 Driftless Area Art Festival 2014: an adventure with my new friend Kris! 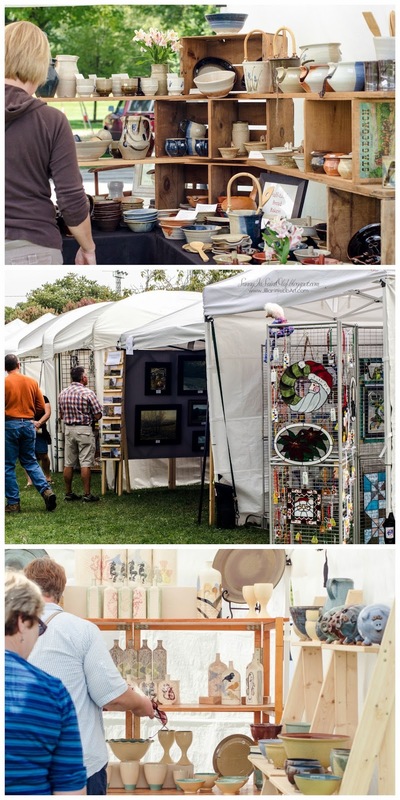 If you didn't make it out to the Driftless Area Art Festival this past weekend, you missed out! I met-up with Kris, a new friend of mine, and we drove out to Soldiers Grove, Wisconsin, on Saturday. Kris did the driving while I probably did too much of the talking! :) We couldn't wait to experience this awesome art festival that we'd heard so much about. Our dear friend and excellent ceramicist, Kate Chandler, would be showing her work at the festival, along with numerous other magnificent artists. Just check out the list of awesome talent that was present at this year's festival, and you'll see what I'm talking about! 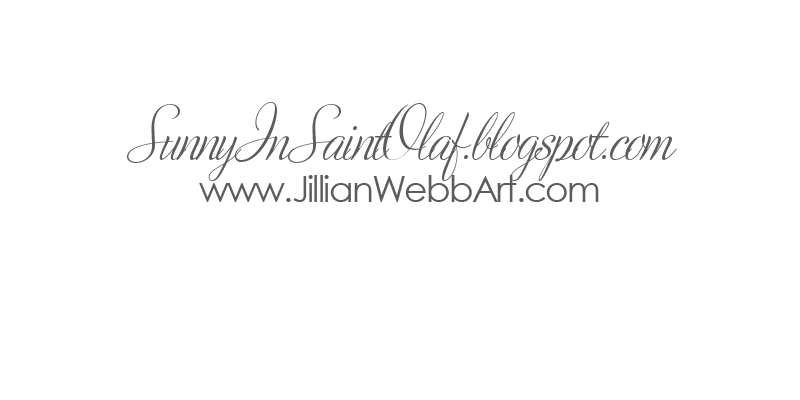 As an artist myself, I am drawn to the creative process, meeting the artists behind the work, seeing new techniques, color and texture, people-watching, yummy beautiful food, learning, enjoying, and collecting art. Attending a fine art festival is an excellent way to soak in all of these experiences and see a diverse variety of art. At art festivals you can find great prices on beautiful original work and support local artisans at the same time. It's a win-win! This bright beautiful display belongs to Kate Chandler, from Elkader, Iowa. While I visit her studio and shop regularly, it's always fun to see her art displayed in a new light! Visit Kate in Elkader, Iowa; Thursday-Saturday from 10-4pm. Did I mention that I love festival food? (Especially the fancy art festival kind!) Lucky for me, Kris and I have very similar tastes and we were able to share everything! After we had visited several artists' tents, we decided to break for fuel. Pizza for breakfast? Why not! We were excited to have some HomeGrown Pizza for breakfast. After our pizza dough was freshly tossed, it was drizzled with olive oil, topped with fresh veggies, and sprinkled with sea salt. Then we got to watch it cook in their fiery pizza oven-on-wheels. This pizza pie was loaded with homegrown kale, garlic, squash, caramelized onion, mushrooms, and fresh mozzarella cheese, then cooked to crispy perfection. My mouth is literally watering just telling you about it! 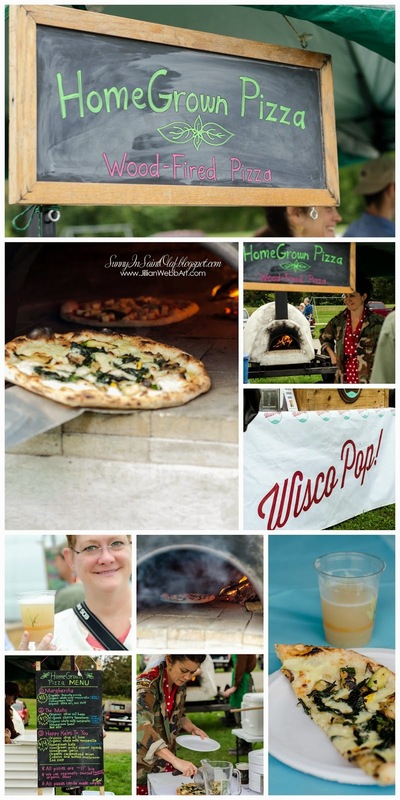 To go with our Happy Kales to You Pizza, we both had a homemade ginger and honey Wisco Pop. I think this it was one of Kris's favorite treats all day, and I can't blame her; I loved it, too! After our morning pizza break, we continued through the rest of the festival. We went to tent after tent of amazing creations. We saw pottery, paintings, drawing, mixed media work, wood working, a beautiful gallery of gourds, glass, metal, jewelry, culinary arts, a puzzle maker, brewers, wine, and more. For those ready to take a load off and rest for a few, there was a tent in the center where you could sit, eat, and listen to various musicians. My mind was constantly being blown by the level of creativity, skill, and content at this fun festival. I loved talking to the artists and seeing them beam as they discussed and exhibited their work. I really appreciate that the Driftless Area Art Festival pays attention to detail and supports art for all ages. 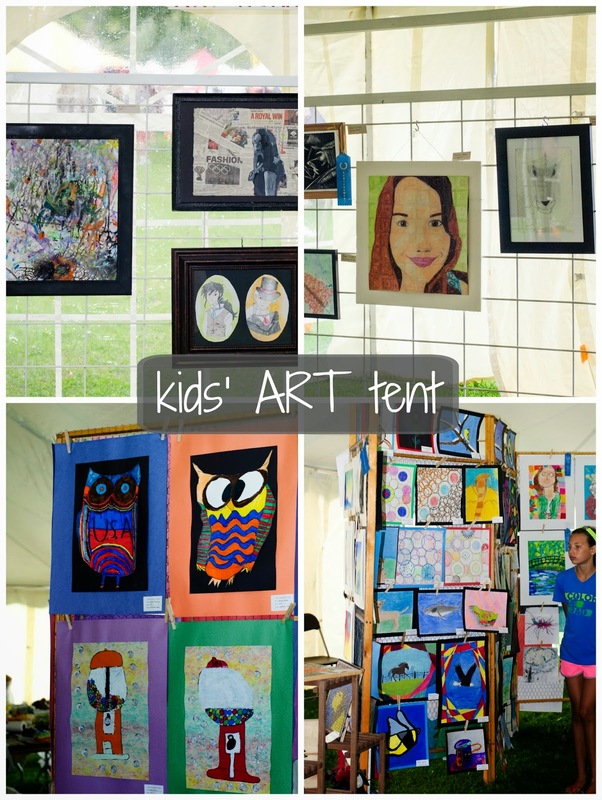 I loved walking through the kids' art tent and seeing the ribbons and awards next to their masterpieces. Encouraging kids to make art is encouraging them to dream, encouraging them to develop thinking and problem solving skills, and encouraging them to grow. Artists pour their souls into their work, and when you connect with something they've made, you've connected in a sense with that person. When you purchase a piece of art from someone, it's like you get to take a little bit of their energy home with you. Next, you see whimsical ceramics by the lovely Linda Day. As soon as Kris and I approached her tent, Kris knew she had to have one of her brilliant creations. 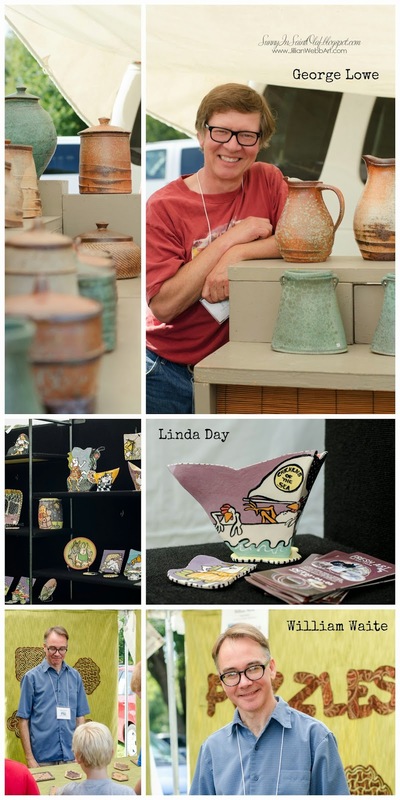 Linda has been a potter and cartoonist for 25 years. It was such a pleasure to meet and talk with her about art, festivals, and life. Her personality radiates through her quirky fun work and we wanted to take home every single piece! And then there were the puzzles! I was completely surprised when I walked up to William Waite's Puzzlemist booth. He creates wooden brain teaser puzzles so intricate and hard to solve they will have you puzzled for sure! Don't worry; he has some "easier" puzzles for the beginner, too! It was interesting to talk to him about his work and how many different ways you could solve some of the puzzles. Several of the puzzles with multiple solutions will give you examples on the back, but for "the mouse and cheese puzzle"... you're out of luck! His mouse and cheese puzzle really stumps folks, and you won't get any cheats on the back! I think I know what I'll be ordering my mom for Christmas! Check out all of the designs available at puzzlemist.com. I felt drawn to Christine Larson's works and really enjoyed talking with her. Below you'll see a couple of folks taking in the bright colors that filled her tent. Christine's paintings felt alive with texture and color. From across the festival, her tent boomed with energy; you couldn't help but be pulled her direction. She spoke about the idea of another sense that we seem to often miss out on and how she likes to try and capture that sense in her work. I definitely felt her paintings to be spiritual, playful and energized. You can see more of her work on her blog, http://chrislarsonnoble.blogspot.com/. After spending several hours exploring all of the wonderful booths and meeting countless artists, we were ready for a lunch break. Kris and I had to try the French Crepes booth. Like me, when Kris heard someone talking of a mushroom crepe, they had her at "mushroom." I laughed and told Kris that often my choice at a restaurant is simply determined if whether or not the dish has mushrooms in the description. I love them! We moseyed on over to the line where we ordered our mushroom crepe from a couple of French gentlemen. We were informed that this elegant French cuisine would be about a 15 minute wait. That was okay with us, as we got to watch a master crepe maker make his crepes. It was fun listening to him speak French, talk to customers, and work his magic. We weren't the only ones willing to wait for our crepe; these guys were slammed! He handed me our crepe ("your crepe, madam") and I felt as though I was on the streets of Paris! ...and it was definitely worth the wait! Finally, Kris and I had made it through the entire festival. We had tasted enough delicious food and we were ready to head home with our new treasures. 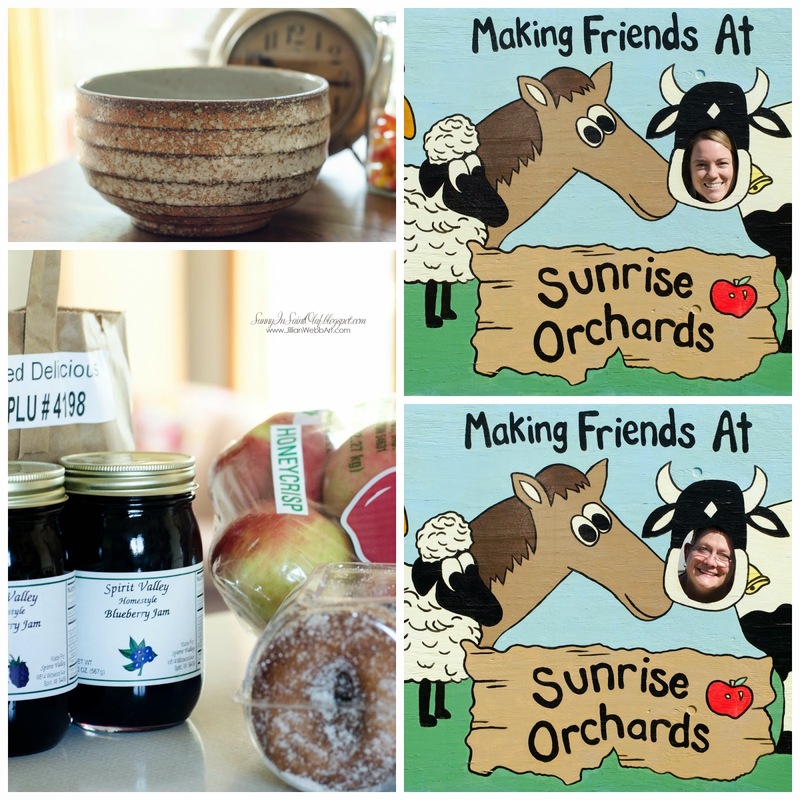 On the way home, we made a quick stop at Sunrise Ochards, where we picked up jellies, apple cider doughnuts, and a beautiful bag of Honeycrisp apples. In short, Kris and I had a blast getting to know each other, making friends, tasting delicious cuisine, looking at amazing art, and meeting all sorts of awesome people! With our big move last year I wasn't quite ready to apply for this festival season, but I sure do look forward to submitting applications for next year! Maybe you'll find JWebb Fine Art in a booth at Driftless next fall! We did it! 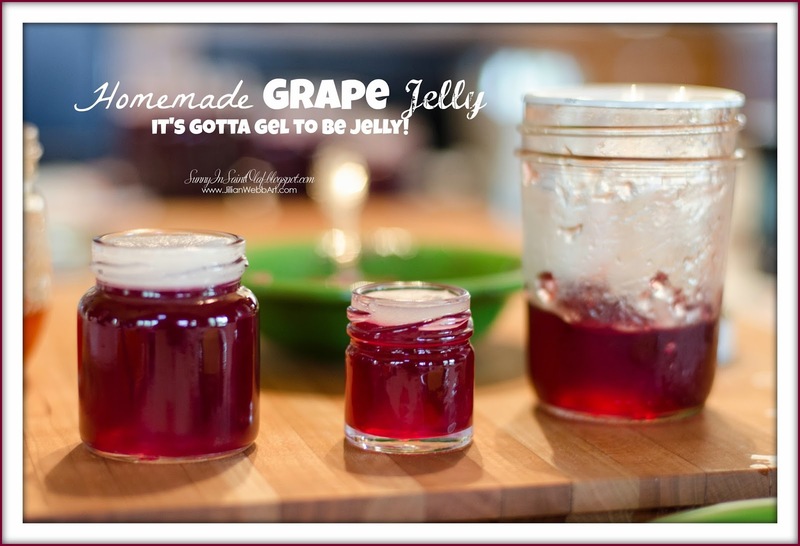 Homemade Grape Jelly! 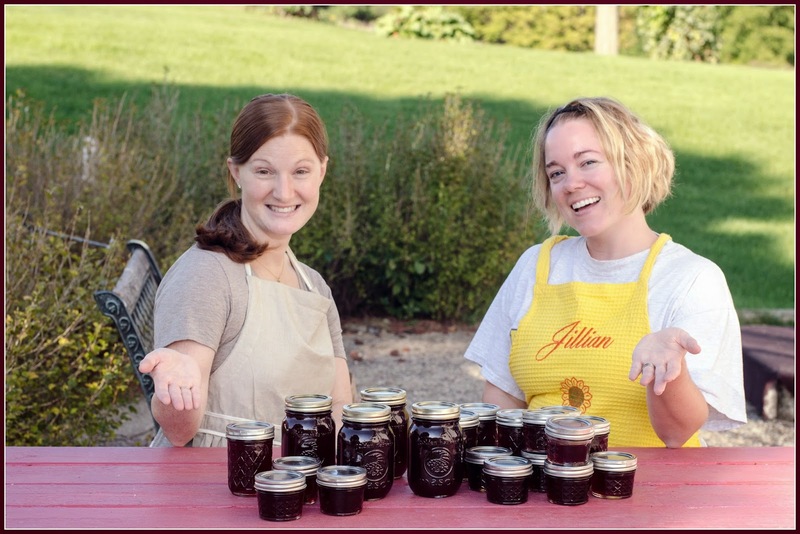 Last week, we learned how to make homemade jelly from a master. (Faith, you'll be so proud of us!) 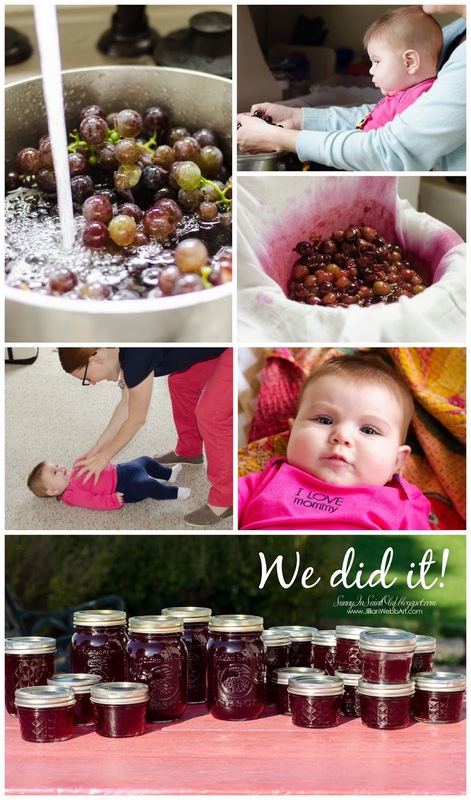 With great instructions, helpful tips, and the generous gift of gorgeous grapes... we were fully prepared to make jelly on our own! aaaaah... the sweet taste of success! Next, I think we are ready to try apple jelly! A few weeks ago, I attended my first book club meeting at our neighbor's cabin. We discussed "Peace Like A River," shared laughs, stories, and some of Faith's fabulous homemade jellies. 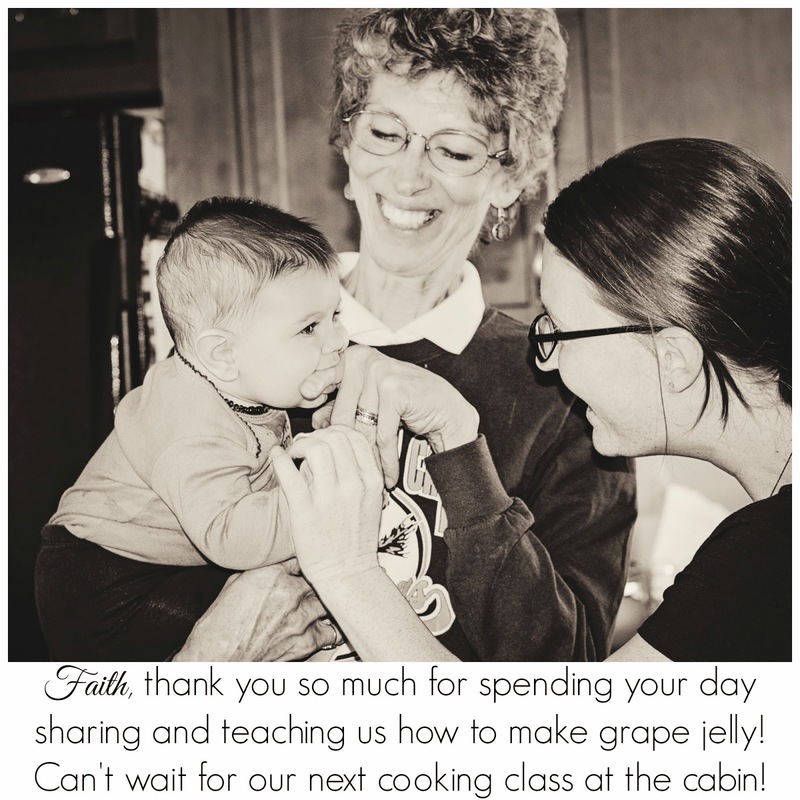 Jodi and I were super excited when Faith offered to teach us how to make her homemade grape jelly! Jodi and Faith for our first cooking class at the cabin! Emery joined us for her first jelly class, too! 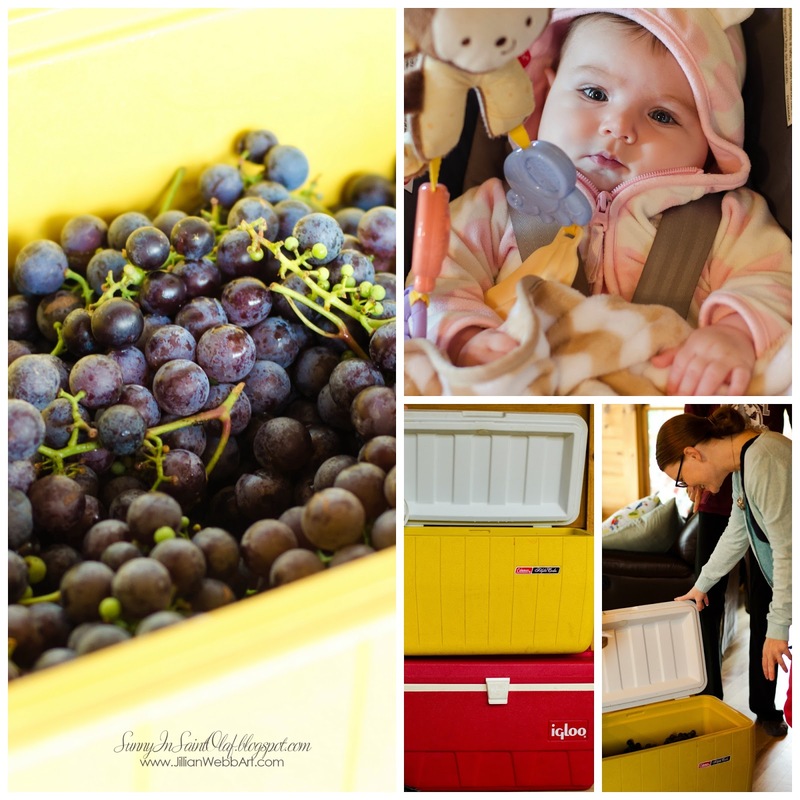 Emery did not appear to be quite as excited as we did over the massive coolers filled with fresh home-grown concord grapes! However, we knew she'd have a change of heart after her first taste of Faith's grape jelly. While you can simply read and follow the instructions given to you with your box of SureJell (pectin), it sure helps to learn the tricks of the trade from a master! 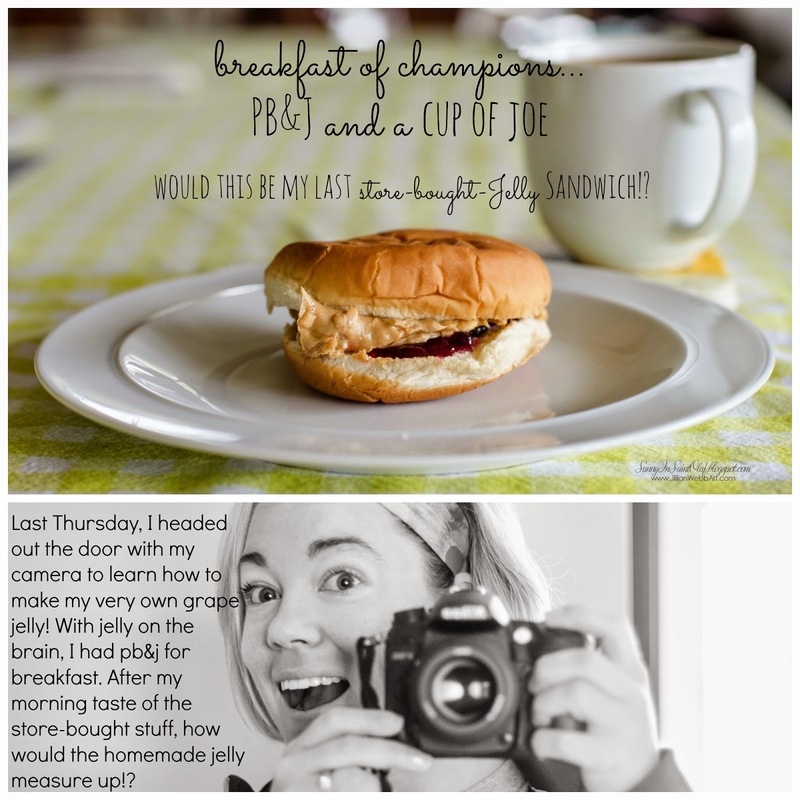 Although it doesn't take many ingredients to make your own jelly, timing is everything. Faith's tip of the day: have everything you need already out, measured, sterilized, melted, and ready-to-go before you start the gelling process! If it doesn't gel, it's not jelly. • It's okay if your grapes are a variety of ripeness. It's actually a good thing! Pectin is naturally found in fruits and is what enables the gelling process. The less ripe the grape, the more pectin in the fruit. • Make sure to take your time on the straining process. Do not rush this step. While many people use cheesecloth over their colander, Faith prefers tea-cloth or a flour sack towel. Just look at that beautiful grape juice color! After you've measured enough juice for one batch, it's time to boil up your jelly! FIRST: double check your sugar measurement, have everything ready including: pectin, jars, lids, paper towel, a spoon and small dish, ladle, and a wide mouth funnel. • Skim any bubbles/foam from the top of your jelly and wipe the rim with damp paper towel. • Take your time removing foam and pour slowly to keep foam from getting in your jelly jars. • Save the warm foam and enjoy it on toast! If the foam starts to set up, you know your jelly is going to gel properly! Yippee! • Carefully wipe the tops of your jars so that the lid isn't cemented down! • Place sterile canning lids on your jar and screw on the top. You'll hear it pop over time as the heat tightens and thoroughly seals your jelly jar. • When storing your jelly, you can remove the outer screw top and store your jelly with the flat lid only. If you would rather use wax than canning lids, just pour 1/4-inch of paraffin wax over the top of your warm jelly in their sterilized containers. This wax will harden, forming a tight seal. While many people use the Ball canning lids, Faith prefers to use the wax method that she learned years ago from the women in her family. and finally... the taste test! Lucky for us, Faith had an assortment of homemade jellies on hand ready to be tasted! We enjoyed the jelly making process and the time in the kitchen together. Without a doubt, you can't beat homemade jelly! Faith sent us on our way with a jar of jelly each and a TON of grapes to practice our own jelly making! I'll let you guys know how it goes! I've said it before and I'll say it again, having awesome neighbors is a true blessing. Our first year living in Iowa has been so much fun. Meeting amazing people makes for amazing experiences! I had my camera out to record the jelly making process... but you know I couldn't help myself when Jodi showed up with Emery! 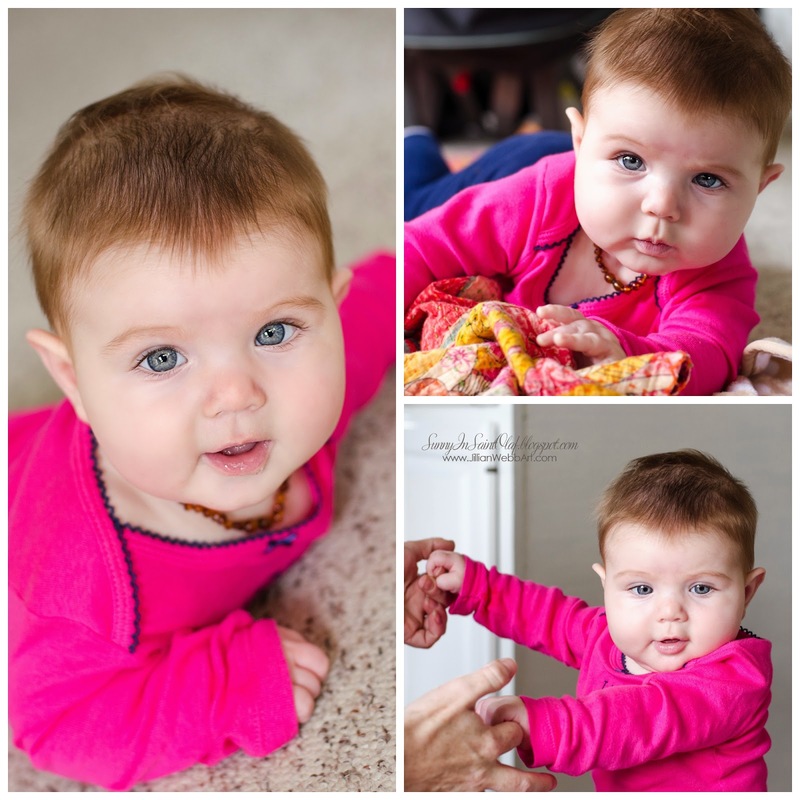 I had to sneak a few photos of this cutie-patootie! 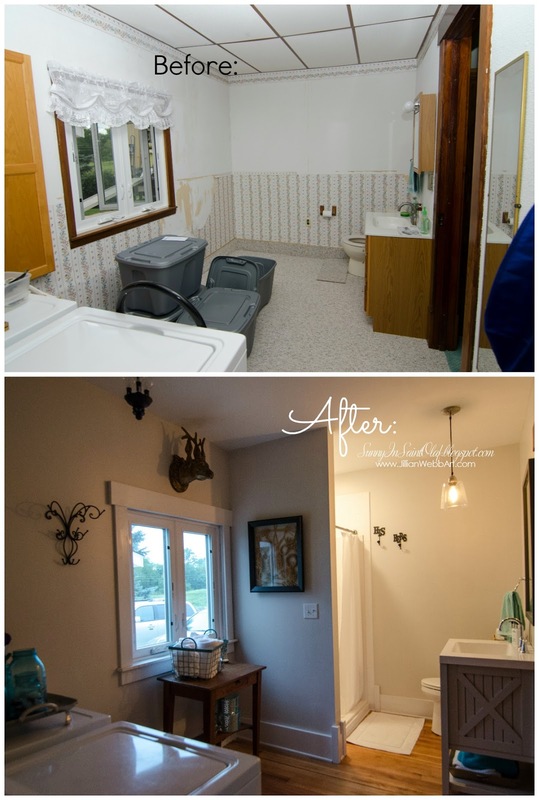 After a year in the making, I can finally post our laundry-bath-renovations! When Zach and I moved to the farm last August, I made sure we took photos of each room to document the inevitable changes. As you can see in this "before" photo, some of the wallpaper had already been removed when we moved in— thanks Marty Musselman! :) Our friend Marty had been to the farm with Mom earlier in the year and she was dying to start this project for us! Zach had to scrape a ridiculous amount of glue off of the original hardwoods with a razor blade before he was able to sand them down. During the whole renovation process I was starting to wonder if it was all worth it! things were beginning to come together! We did run into one hiccup with the shower. We didn't pay any attention to which side the seat was on when we bought it. When the plumbers were here to install it, we realized that the seat would have been under the spigot. So Zach and I made a trip to return the first shower and purchased one with a seat on the right. And yes, returning a shower is as much of a hassle as it sounds! Next, we primed and painted the walls. Fresh paint makes all the difference in the world. We also painted the trim and hung our light fixtures, where we ran into another problem. I had unknowingly chosen a light fixture that had a plug rather than hard-wired for ceiling installation. After monkeying around with the fixture for quite a while, Zach was able to make it work. I was pretty relieved since I bought the fixture when I was visiting in North Carolina and wasn't going to be returning it! By the end, we removed wallpaper, removed carpet and two dropped ceilings, had new walls framed in and new insulation installed, dry wall, paint and primed, new toilet and bathroom vanity, removed layers upon layers of glue so that we could refinish the original hardwood floors, filled holes, hired electric and replaced plumbing, hung light fixtures, painted and adjusted two old doors to fit our doorways, added new trim and redecorated... whew! After all of the mess, adding the finishing touches was so rewarding! And last but definitely not least... a shadow box holding wheat from the Wold farm in Montana which was woven by Zach's grandma, Ethelyn Herrmann. Thanks for being so patient over this entire year of me promising a "coming soon: laundry bath reno"! I hope you've enjoyed seeing the madness behind the finished product! the one Zach's grandparents planted on the hill at Wold Farm. Today was my first meeting as an official member of the Clayton County Artists group. I state "as an official member" because my first trip to Iowa (six years ago), I attended a meeting with Zach's Grandma Ethelyn. I wouldn't have imagined then that I'd someday get the chance to be an official member of the group myself! This morning, I gathered my drawing supplies and headed out to Volga, Iowa. I wasn't exactly sure where I was going or who I'd get to meet, but I was excited! After driving through the beautiful landscape, I arrived at Rosalyn's gorgeous white farmhouse. Some of the other artists were just arriving, too. We were welcomed into the home, where we shared meeting details, exhibition opportunities, and got to know each other. Then we ventured out and about to draw from life. I chose a spot next to the lush pasture and by a shade tree. I thought the fencing and over-hanging tree limbs made for an interesting composition. In fact, I could have chosen any spot at Rosalyn's farm to focus on and it would have been an interesting and beautiful vantage point. You can soak in a spectacular view from every window in her home. After time in the field, we headed inside to eat lunch. Rosalyn provided the most yummy ice cream sundaes for dessert, literally the cherry on top! I enjoyed the conversations around the dining room table, sharing stories, making art, and connecting with this group of amazing women. I'm already looking forward to next month's meeting and the memories we'll make in the months and years to come. I'll admit being at the meeting was a tad bittersweet without Ethelyn. When we wrapped up, I headed over to visit with her at the Care Center. I sure wish she was still able to attend the meetings. We had a nice visit and even did some painting of our own; I painted our nails while we talked. 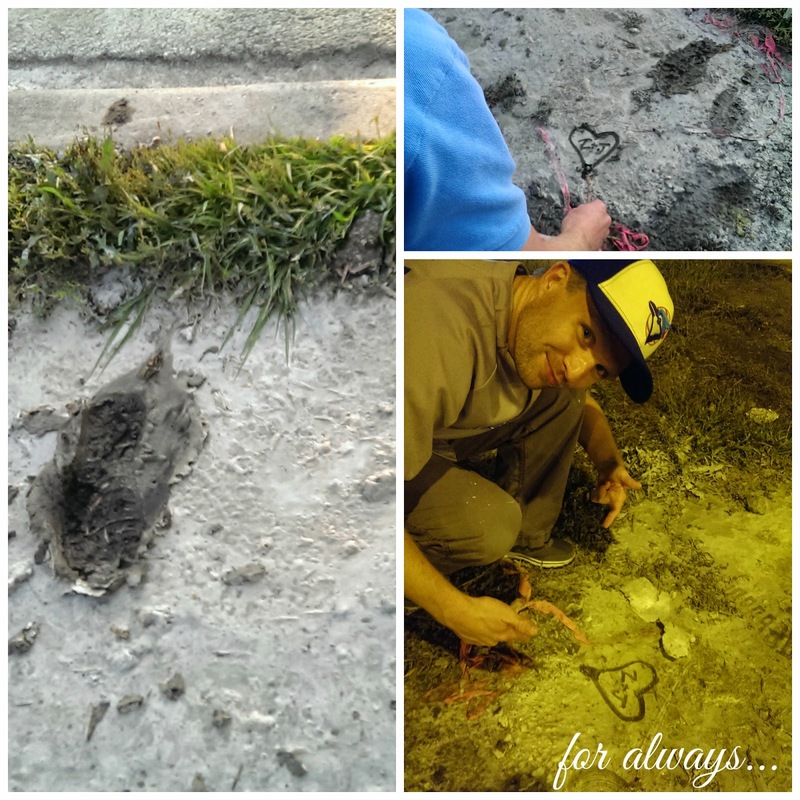 Whether or not she remembers, it was awesome to share those moments together. In this age of technology and social media, it is so nice to spend time with people face to face. I really appreciate each of my daily life encounters and the interactions and relationships being formed. 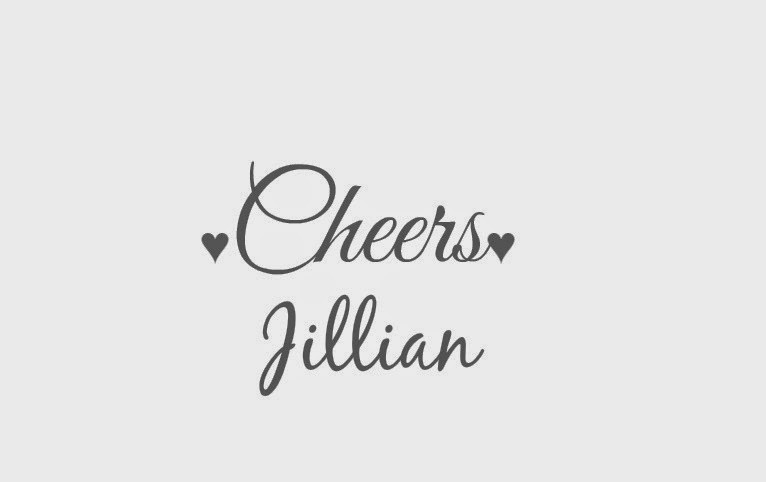 I'm grateful for the moments given to us on this earth and I'll sleep better tonight having connected with so many beautiful, witty, fun, and creative souls today. Our His and Hers Anniversary Getaway! A few weeks ago, Zach and I headed to Chicago for a weekend filled with big-city adventure, deep-dish pizza, baseball, art, and anniversary celebrations! It was awesome to spend time in the Museum of Contemporary Art. Seeing works by Nan Goldin, Frida Kahlo, Cindy Sherman, and Felix Gonzales-Torres left me with a feeling of awe. There is something so moving about standing in front of a piece of art that you've known for years... to see it in person feels like a moment with the artist. It was a beautiful weekend to walk around the city and enjoy the hustle and bustle, people watch, and take photographs. We even got to watch the Navy Air Show! 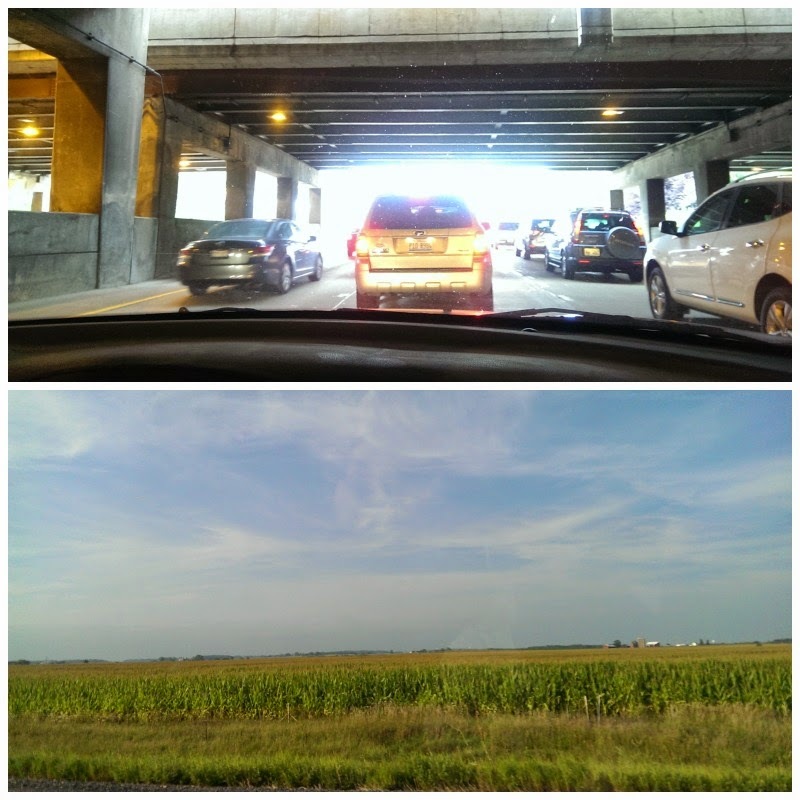 We had a wonderful weekend, but there's no place like home! 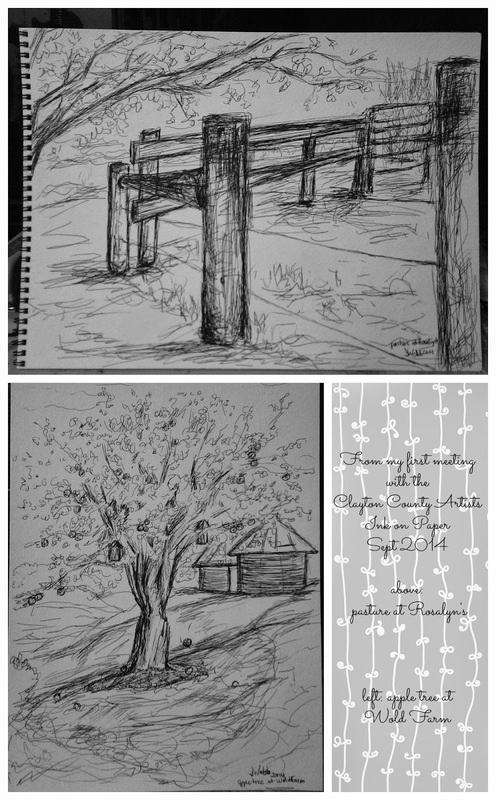 When we hit the country landscape, I think Zach and I shared a little sigh of relief! 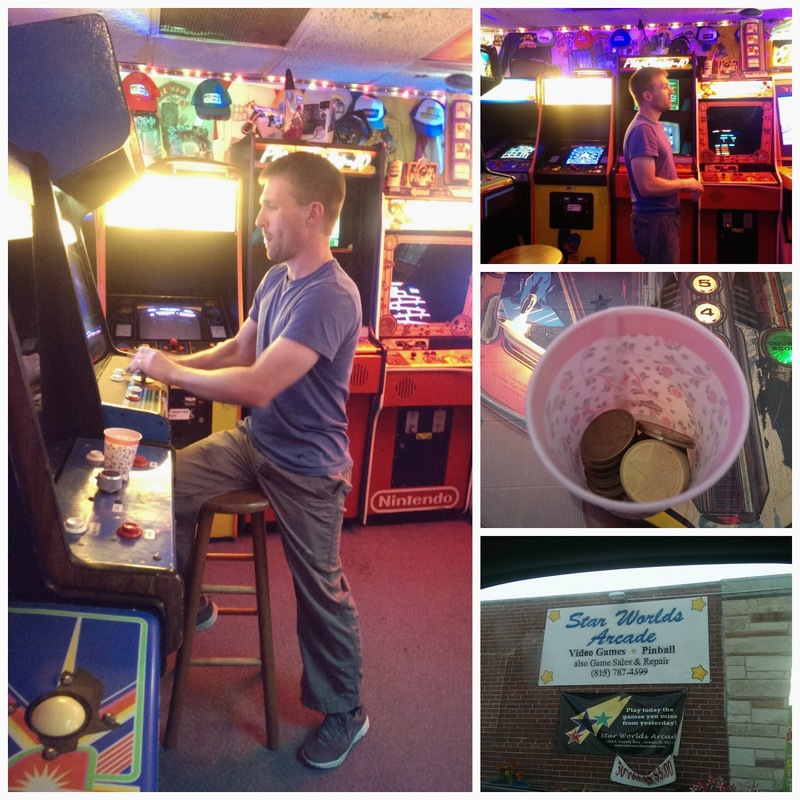 Zach had to make a pit-stop on the way home to play some video games at a classic arcade. We had a fantastic getaway to Chicago to celebrate our third wedding anniversary! I called it a "his and hers" getaway because we got to see Zach's Blue Jays play ball and we got to visit the Museum of Contemporary Art. Zach has always been a big supporter of my love of art and I have enjoyed watching his eyes light up over ballgames and pinball. While we have different interests, we've had fun sharing them with each other. When you unexpectedly jump off of a bus into wet concrete, I hope you too find the humor and opportunity in your messy misfortune! 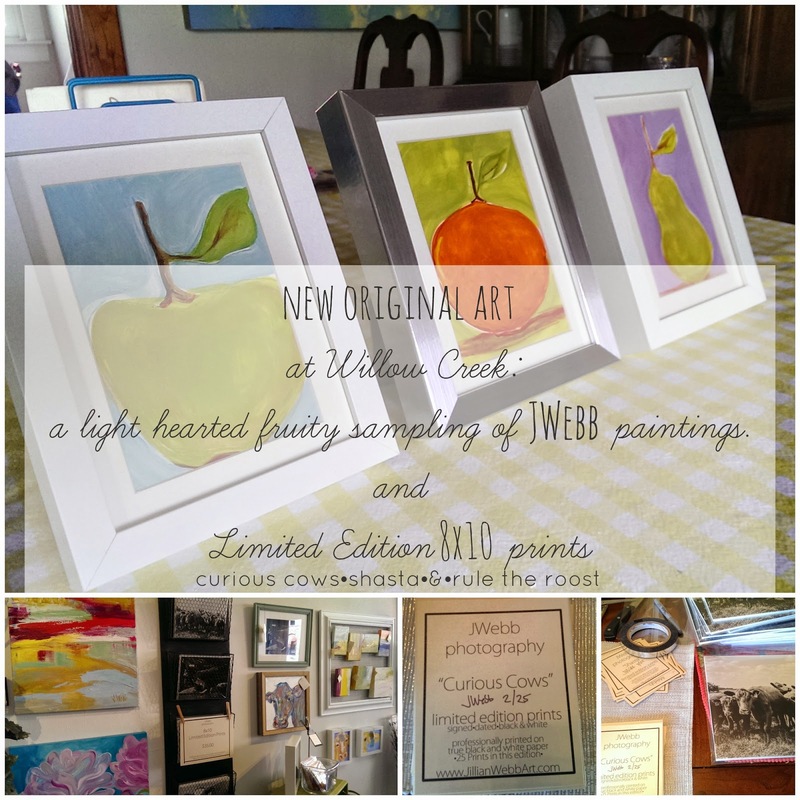 I'm constantly updating the original art available at Willow Creek in Elkader, Iowa. This week I've painted some funky fun fruit! These 5x7-inch paintings are acrylic on claybord, simply framed, and ready for a ride to your residence! $35.00 each. •signed, numbered, and ready to frame!